04 Mart 2019 Pazartesi 06:02 - 3 reads. A storm with multiple tornadoes have claimed at least 14 lives in the us state of Alabama on Sunday evening local time. It informs the sheriff of Lee County Jay Jones for WRBL-TV. I can at this time confirm that we have 14 deaths. We are still looking for people who are reported missing, said sheriff Jay Jones. He does not disclose how many that are missing. But several persons have been taken to hospital with ’severe injuries’. 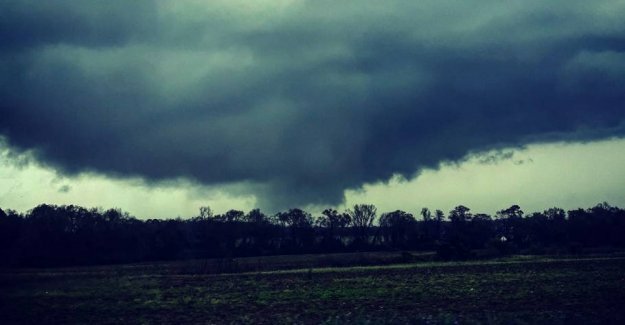 According to the Associated Press has at least two tornadoes devastated the area around the town of Beauregard in eastern Alabama. Here are several houses have been razed to the ground, and the death toll is expected to rise. - There are still people who are being rescued out of the ruins, says the local medical examiner, Bill Harris, to the news agency. An eyewitness, Scott Fillmer, has published images and video clips of the devastation on his Twitter profile. ’the Incredible devastation from this tornado’, he writes. rescue efforts are massive in the area. - We have 150 rescuers at the site, says Rita Smith, a spokeswoman for the local emergency response. The fierce weather has also hit Georgia, Florida and South Carolina, and there are reports about the destruction in all the three states. the Storm has left more than 35,000 households without power.